If you have never been to Etsy online you are missing out. You will find yourself spending hours looking at all the wonderful handmade items from all over the world. There are so many categories one does not know where to start. I suggest you start with all the bling.... yes the Jewelry. I highly recommend WHIRL Jewelry Designs. 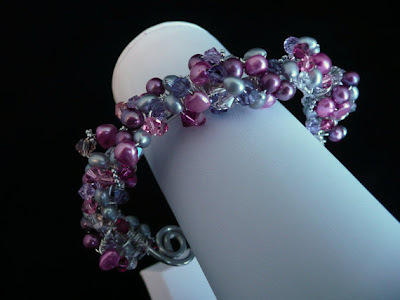 I have always loved bracelets. 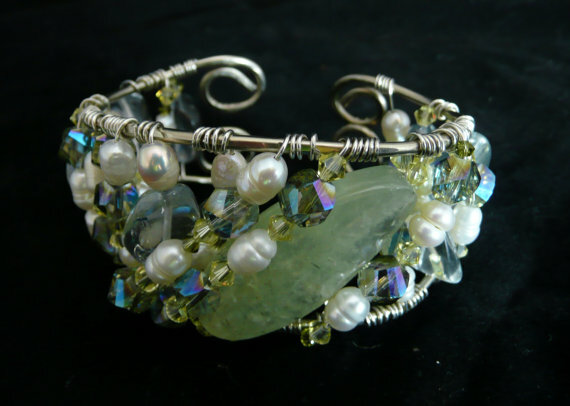 Jeannette at Whirl does some amazing designs not to mention the fabulous items she uses like, Sterling Silver, Phrenite, Freshwater Pearls, Swarovski Crystals, Green Amethyst and Chalcedony. Her attention to detail and color combinations is unreal. Her jewelry reminds me so much of the colors in the ocean. Sea Greens, Cool Blues and Aquas and I love the Ivories in the Cornflake and Freshwater Pearls. 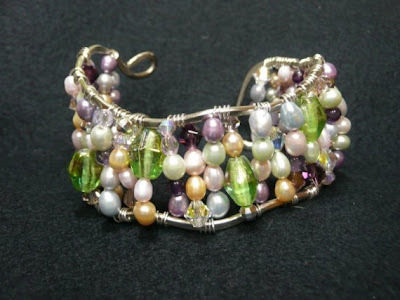 Jeannette also sells her jewelry in sets. So if you love the ocean like I do you have to check out Whirl on Etsy......tell Jeannette, Sharon sent you! 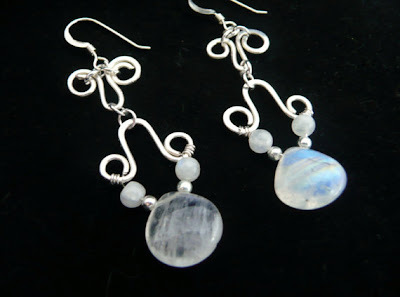 Sterling Silver and Moonstone Briolette Drop Earrings are completely handmade, hammered and wire wrapped. They have a 1 3/4 inch drop. 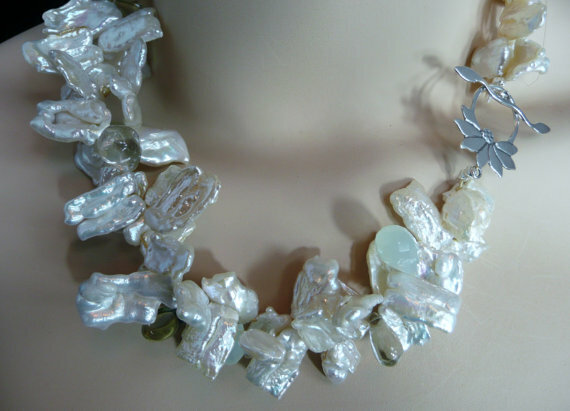 Freshwater Corn Flake Pearl,Green Amethyst, Chalcedony and Sterling Silver Necklace has two stands that you can twist together as shown or separate to hang together but not twisted. Beautiful lotus flower sterling silver toggle style clasp. Measures 18 inches long. The green amethyst briolettes are especially beautiful and large. Sterling Silver, Agate, Chalcedony and Swarovski Crystal Wire Wrapped Pendant on Black Suede Thong is adjustable in length. The thong measures 30 inches long. 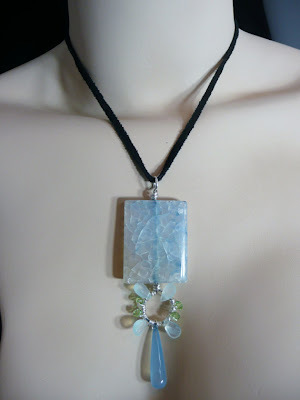 You can easily place the pendant on another chain or cord as well. I can't believe that these are handmade! These are as beautiful as those pre-owned watches and jewels sold in NYC.